MIAMI, FL - MARCH 10: Otto Porter Jr. #22 of the Washington Wizards handles the ball against the Miami Heat on March 10, 2018 at American Airlines Arena in Miami, Florida. The Wizards wrap up their three-game road trip Saturday night in Miami at 8pm. Both the Wizards and Heat are coming off games on Friday night, with the Wizards losing in Orlando and Heat falling at home to the Pacers. Heat All-Star Goran Dragic (right knee) did not play in Friday’s game, but could return Saturday. This will be the second of four matchups between the Southeast Division teams. 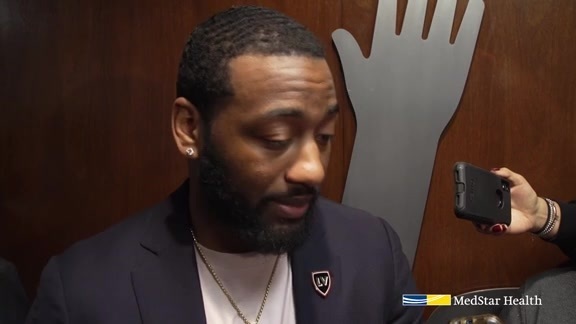 In the first two games of this road trip, the Wizards have fallen behind by 20-plus points and then had comebacks fall short in the fourth quarter. In order to beat the Heat on Saturday, the Wizards cannot afford to trail by double digits early in the game. To prevent that from happening, Washington needs to string together stops throughout the entire game, not just certain points in the game. One way to impose their defense will be through turnovers, as the Heat have the fourth worst turnover rate (16.1%) in the NBA and are in the bottom 10 in forcing turnovers. Led by John Wall, Washington has a strong fast break and the team thrives when defense turns into offense. On opening night against the Heat, the Wizards struggled mightily with rebounding. Even though Dwight Howard did not play, the team cannot let the Heat dominate the boards again. The Heat is second in the NBA in offensive rebounding percentage (32.2%) and fifth in overall rebounding percentage (52.2%). Hassan Whiteside is averaging 15.7 rebounds this season, only second to Andre Drummond (16.1). The Wizards rank last in the NBA in overall rebounding percentage (44.2%) and have been outrebounded in all 11 of their games. Lastly, Washington needs to defend the 3-point line. The Heat have several shooters who can beat you – Rodney McGruder (46.2%), Wayne Ellington (42.1%), and Josh Richardson (40.0%) are all shooting the lights out this season. That list doesn’t even include lethal shooters like Goran Dragic, Duncan Robinson, Kelly Olynyk, and Tyler Johnson. On Friday, the Heat made 14-of-27 (51.9%) triples against the Pacers. In the first matchup between these teams, Kelly Olynyk grabbed the offensive rebound off a Dwyane Wade turnaround jumper and laid in the go-ahead basket with 0.2 seconds left, lifting the Heat to the 113-112 victory. It was a fitting conclusion to a game in which Miami outrebounded Washington 55-40 overall and 22-7 on the offensive glass, leading to a 27-10 edge in second-chance points. 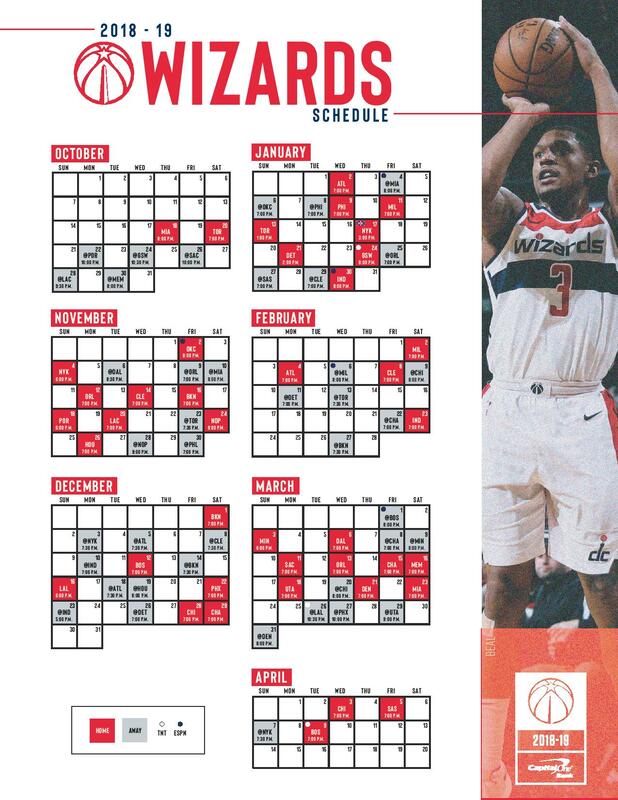 The Wizards are 15-45 all-time in Miami, but split the season series last year 2-2. As aforementioned, Washington will need to clean up their rebounding woes to win on Saturday night. Having Dwight Howard back should help that cause. This is the Wizards’ first back-to-back of the season, while the Heat will be playing their third. Last season, the Wizards went 6-9 on the second night of back-to-backs and finished 15-15 overall. So far this season, the Heat are 1-1 on the second night, and 1-4 overall. John Wall and Bradley Beal both played 42 minutes on Friday night, but the rest of the team will be relatively fresh for a back-to-back. No Heat player played more than 33 minutes on Friday.